Major setback for the dairy. 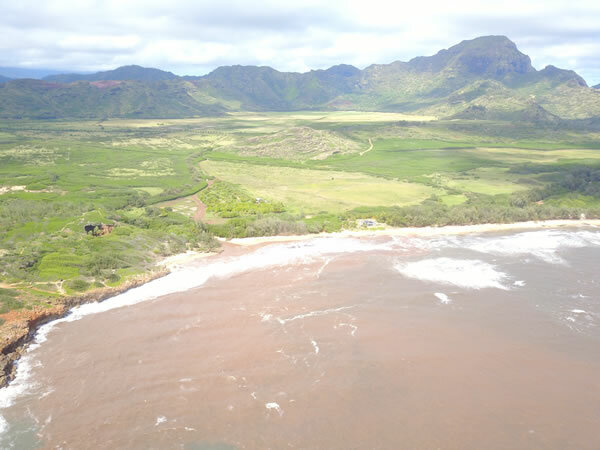 Hawaii Dairy Farms reported to media and the public that they withdrew their Final Environmental Impact Statement (FEIS) from Hawaii Department of Health to improve their FEIS answers to public and agency Comments. HDF’s decision to withdraw, based on HAR 11-200-23(f), followed a finding by the director of the Office of Environmental Quality Control (OEQC) that their FEIS was so deficient he recommended DOH not accept HDF’s FEIS. Unfortunately for HDF, HAR 11-200-23(f) does not allow an applicant to re-file an FEIS after improving or adding to their FEIS. The law, in fact, requires the applicant to file a “new EIS” and begin the process again. DOH served HDF with notice 3/1/17 that HDF must re-file a new Draft EIS that incorporates any changes and includes the additional studies HDF did conduct after the comment period ended, renewing the public’s right to comment to their entire study. 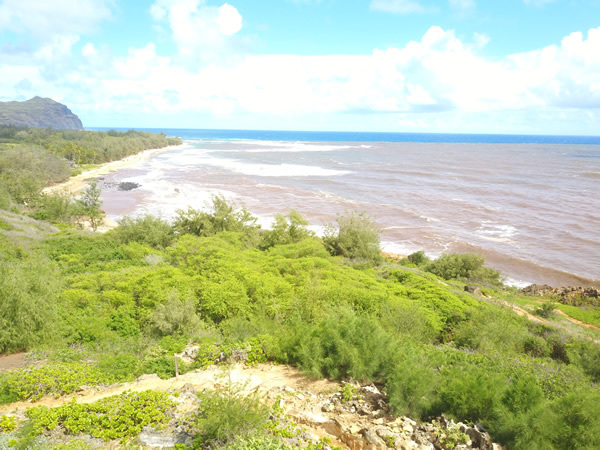 HDF is reevaluating their situation and FOM encourages the company to consider the recent heavy rainfall, a typical winter storm, that produced nearly 5 inches of rain at Maha`ulepu on 3/1 and 3/2/17. 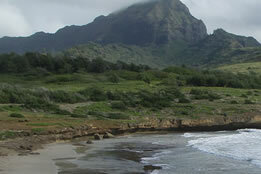 According to the USGS, that amount of rain on HDF’s site created a total of 75,600,000 gallons of water. 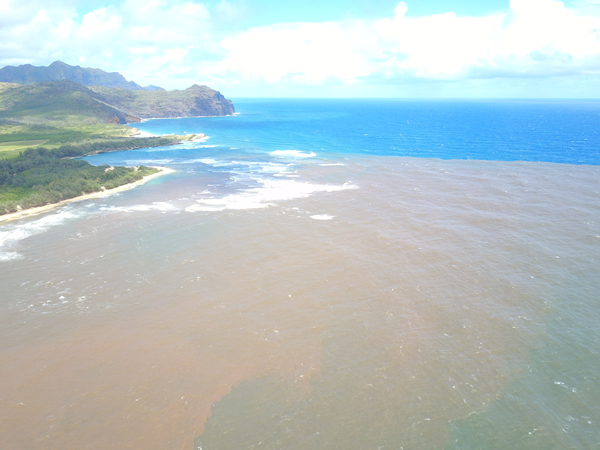 It is little wonder that the Waiopili Ditch and Stream raged carrying a brown plume of dirt and debris that was photographed moving from Maha`ulepu to Poipu Beach.